Professor Ryan Ko is Chair and Director of UQ Cyber Security at the University of Queensland, Australia. His applied research in cyber security focuses on 'returning control of data to cloud computing users'. His research reduces users' reliance on trusting third-parties and focusses on (1) provenance logging and reconstruction, and (2) privacy-preserving data processing (homomorphic encryption). Both his research foci are recognised nationally and internationally, receiving conference Best Paper Awards (2015, 2017), and technology transfers locally and internationally. He serves as Technology Advisory Board member of the NZX-listed (NZE:LIC) Livestock Improvement Cooperation (LIC), Nyriad, and expert advisor to INTERPOL, NZDF, NZ Minister for Communications' Cyber Security Skills Taskforce, and one of four nationally-appointed Technical Adviser for the Harmful Digital Communications Act 2015, Ministry of Justice. Prior to UQ, he was the highest funded computer scientist in New Zealand, as Principal Investigator and Science Leader of the largest MBIE-awarded cloud security research funding for STRATUS (NZ$12.2 million) from 2014 to 2018. STRATUS' research was awarded `Gold' by MBIE (i.e. top performing project, 2017), adopted by INTERPOL and featured in NZ's Department of Prime Minister and Cabinet's NZ Cyber Security Strategy 2016 annual report. Prof Ko has a strong record in establishing university-wide, multi-disciplinary academic research and education programmes, including NZ's first cyber security graduate research programme and lab (CROW) in 2012, NZ's first Master of Cyber Security (encompassing technical and law courses), the NZ Cyber Security Challenge since 2014, and the New Zealand Institute for Security and Crime Science – Te Puna Haumaru, the Evidence Based Policing Centre (at Wellington with NZ Police and ESR), and Master of Security and Crime Science in 2017. The Institute integrates research expertise across 6 faculties, covering computer science, statistics, psychology, crime science, Maori and indigenous studies, law, management, and social science. Within the ISO/IEC JTC 1/SC 27 technical committee, Prof Ko served as Editor, ISO/IEC 21878 “Information technology -- Security techniques -- Security guidelines for design and implementation of virtualized servers”, and hosted the ISO/IEC JTC 1/SC 27 meetings at Hamilton, New Zealand, in 2017. Ko serves in the MBIE College of Assessors (since 2015) as lead assessor and assessor for the Endeavour Fund and Catalyst Fund proposals, and have externally examined 8 PhD and 2 Masters theses. He has published more than 100 publications, including books, refereed conference papers, journal papers, book chapters, encyclopaedia entries, technical reports and international patents (PCT). He served in technical programme committees for more than 30 IEEE conferences/workshops, associate editor for 6 journals, and series editor for Elsevier's security books. Ko has a track record developing international and national cyber security curricula, including the co-creation of the gold-standard (ISC)2 Certified Cloud Security Professional (CCSP) curriculum (2014-2015), and authoring the initial draft of the NZQA's Level 6 Cybersecurity Diploma qualification as part of the NZ Cyber Security Skills Taskforce. He contributed to the establishment of the Government of Tonga CERT and CERT NZ, and has spoken regularly on cyber and cloud security research across the globe, including the Republic of Korea National Assembly (2018), INTERPOL (2017), TEDx Ruakura (2017), and the NZ Members of Parliament (2016). 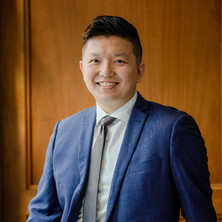 For his contributions to the field, he was elected Fellow of Cloud Security Alliance (CSA) (2016), the Singapore Government (Enterprise Singapore)’s Young Professional Award (2018), and awarded the inaugural CSA Ron Knode Service Award 2012. For his research and teaching excellence, he was awarded the University of Waikato's Early Career Excellence Award (2014), Faculty Teaching Excellence Awards (2014, 2015, 2018), and the Nola Campbell eLearning Excellence Award (2014). He is also recipient of the 2015 (ISC)2 Information Security Leadership Award.